Open Briefing is committed to an ethical approach in all its activities and procedures. Specifically, it does not knowingly make use of suppliers or services that invest in or have any links to unethical industries, including the arms trade and the extractive industries. Open Briefing guards its independence and believes in the principle of speaking truth to power. We therefore avoid sources of funding that may jeopardise the independence or integrity of our organisation. Open Briefing is a signatory of the Code of Conduct of the International Red Cross and Red Crescent Movement and NGOs in Disaster Relief, which is voluntary professional code that lays down 10 points of principle that all humanitarian actors should adhere to. Open Briefing is also bound by the Code of Conduct for Members of the International NGO Safety and Security Association, which establishes, maintains and promotes accountable, transparent, equitable and technically-competent safety and security services. We are also a member or associate member of the Charities Security Forum, the Humanitarian Practice Network, BOND, the Active Learning Network for Accountability and Performance in Humanitarian Action (ALNAP) and the UK Cyber Security Forum. 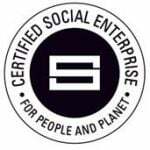 We are a certified member of Social Enterprise UK (No. 9489). Open Briefing operates a ‘no weapons policy’. We only deploy unarmed security advisers, as we believe that NGOs should not add further armed actors into already volatile situations. Our security services are intelligence-led and based on preventative strategies and proactive measures. This position was reached after consulting with stakeholders; however, we recognise that civil society needs honest conversations about the use of armed guards, as the present situation of, for example, aid workers relying on UN peacekeepers for protection or journalists being embedded with US or other forces essentially outsources the use of weapons to others. Open Briefing is committed to inspiring and participating in this debate. As individuals, we strive to reflect the ethical values of the organisation in the manner in which we work. We apply the principles of trust, openness and dialogue in all our dealings, both among ourselves and with others with whom we work. Open Briefing recognises that its activities have an impact on the environment and, as such, is committed to working in an environmentally responsible manner. Efforts are focussed on three key areas: waste, energy and travel. First, efficient recycling procedures have been developed, and recycled and recyclable materials are used wherever possible, while every effort is made to keep printing and paper use to a minimum. Second, procedures are in place to reduce energy use, and the Open Briefing office space uses renewable energy and biomass heating. Third, staff travel and commuting are kept to a minimum, relying wherever possible on online meetings and teleconferencing. For all other areas, our purchasing and contracting policy gives preference to Fairtrade, organic and other products and services that cause the least harm to people and the planet. Open Briefing is committed to carrying out its activities in a manner that does not exclude anyone on the basis of skin colour, nationality, gender, age, disability, sexual orientation or religious affiliation, and pledges to abide by all relevant UK legislation. Open Briefing recognises and is working towards addressing the gender imbalance in its team by considering ways to encourage more applications from female candidates. Open Briefing also recognises that as an organisation with a considerable online presence it may need to address issues arising from the digital divide, as well as consider design issues that might affect visually-impaired users of its website. Open Briefing is an ethical employer. We recognise the positive benefits that marginalised groups can bring to us as an organisation. To this end, we have joined the UK government’s Disability Confident scheme, and been awarded a Level 1 certificate in recognition of our achievements in this area. This scheme helps organisations successfully employ and retain people with disabilities and those with long-term health conditions. We have also signed the Charter for employers who are positive about mental health, which was drawn up by the NHS initiative Mindful Employer. This demonstrates our commitment to the mental well-being of our staff, consultants and volunteers and our positive and enabling attitude to employees and job applicants with mental health issues. Staff also have access to confidential support from our mental health and staff wellbeing consultant, and our executive director is trained in Psychological First Aid (PFA) and Mental Health First Aid (MHFA).